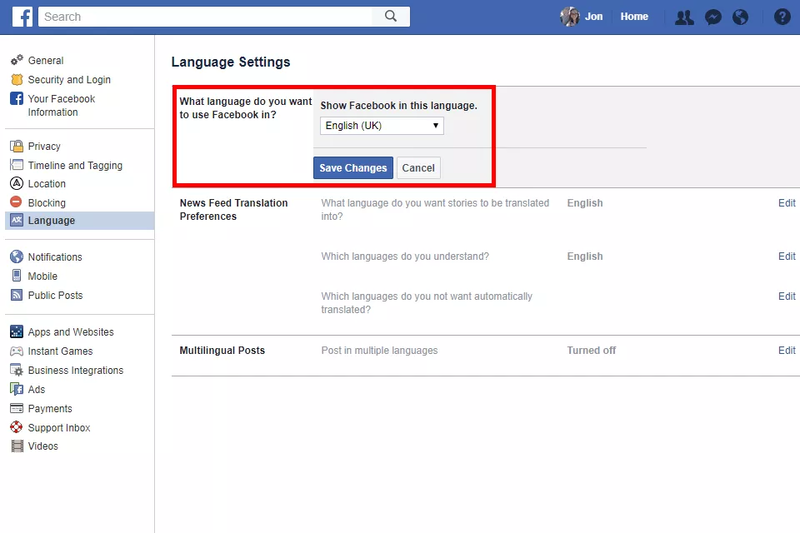 Note: If you're on an iPhone, you cannot change the language of Facebook through the mobile app. 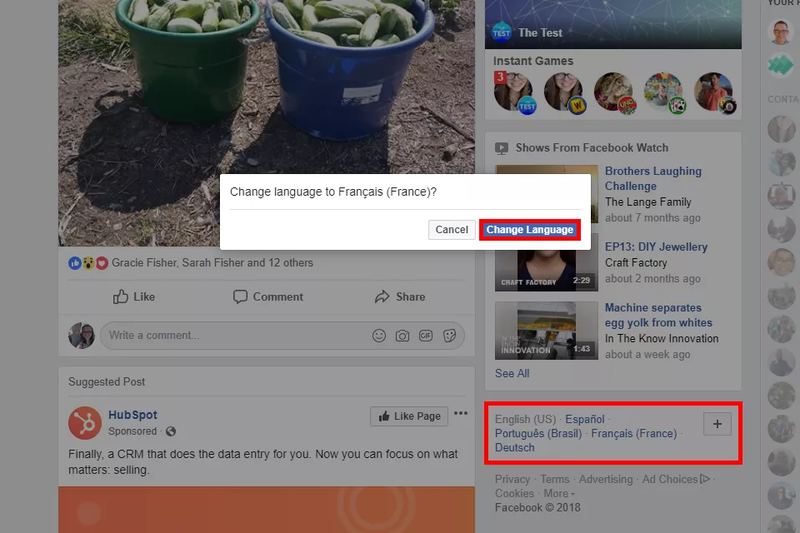 Instead, Facebook uses whatever language your phone is set up to use, so to change it you have to pick a different language for your entire phone. 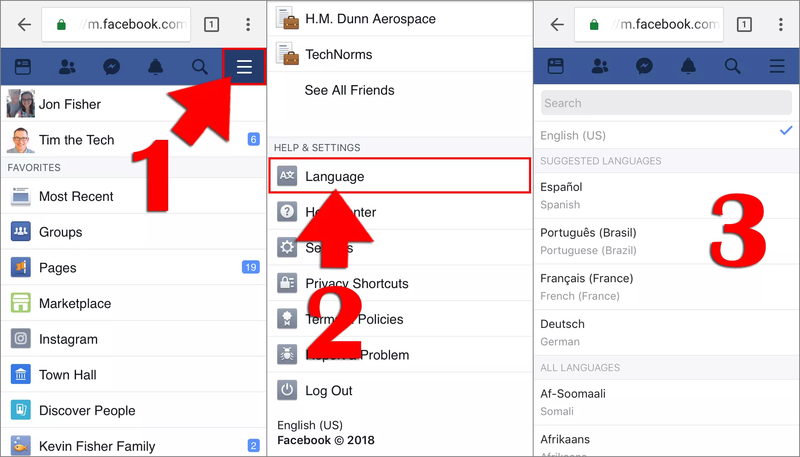 Do this through the Settings app via General > Language & Region > iPhone Language.